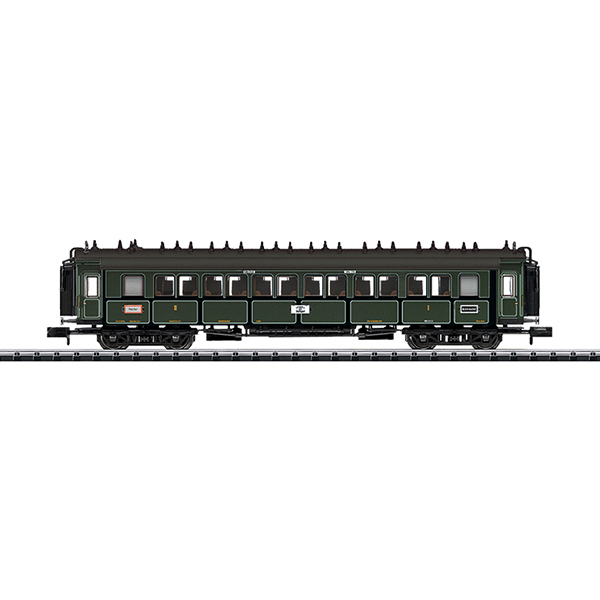 Prototype: Royal Bavarian State Railways type ABBu, built starting in 1905. Use: Express trains, domestic and abroad. Model: The car has a close coupler mechanism. An interior lighting kit can be installed in the car later. Length over the buffers 119 mm / 4-11/16".